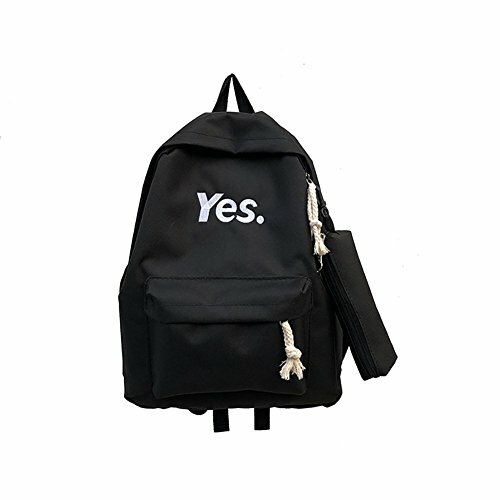 Embroidered "Yes." letters design, simple, fresh and stylish. High quality nylon material, wear-resistant and durable. Light weight, big capacity, multi-pockets design, convenient to use. Comes with a pencil bag to storage stationery or other small things. Just empty backpack and pencil bag, not including other accessories.